There is a dollar store the way home from the barn, and adjacent to the grocery store I frequent. I stopped by the other day, and found two wonderful equine items in the kids toys-- bought multiples of both. 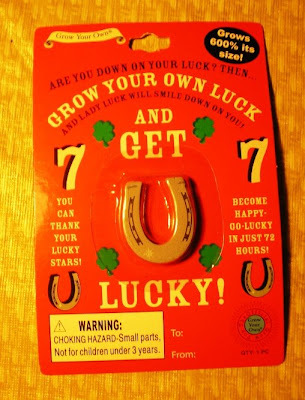 This is a novelty sponge "lucky horseshoe." I'm hoping these won't be utterly ridiculous stocking stuffers :-). 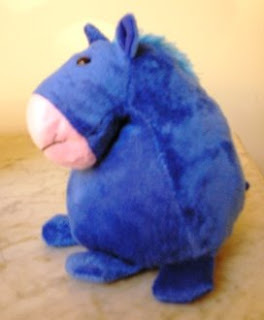 No, it's not a donkey -- it's a stuffed animal HORSE in the likeness of Harvey! I love the sweet goofy face and the wide-eyed pleasant expression. 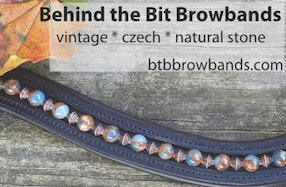 I got two of these, one for me and one for my niece, who is at University of Kentucky -- their colors are blue and white, I think, and heck, it's in Lexington. A blue horse seems like the right kind of gift. After the fun, exotic, expensive boutique-y shops of Devon, I love these wonderful unexpected dollar store finds. Aww! 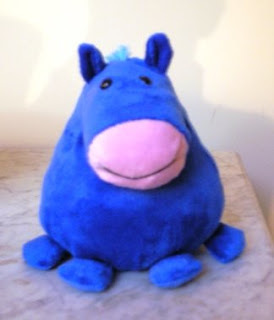 I loved the fat blue stuffed horse thing. It's cute!